Home » Technology » Cyber Security » What is Passphrase? How it is Better than Password? Do you know what Passphrase is? A passphrase is a set of words and characters that you use for authenticating yourself to get access to a system. It is just like your regular passwords but more lengthy. Since the dawn of the networks, security has been a big issue. Day by day, attackers are coming with new and useful methodologies to create havoc by hacking passwords. That’s why; many applications allow you to enter a passphrase instead of just a short password for added protection against attackers. Some applications also use your passphrase to form a cryptographic key to encrypt your data. Let’s learn more about passphrases, their applications and how you can choose a good passphrase. What do you mean by the term Passphrase? In networking, an administrator typically picks passphrases as part of network security measures. It is also known as the security key. Passphrases can include phrases, uppercase letters, lowercase letters, numbers, symbols and combinations thereof. A passphrase is identical to a password in usage but is usually longer for additional security. It is often used to administer both access to and operation of, cryptographic programs and systems. The genesis of the term is by analogy with a password. The modern concept of passphrases is believed to have been invented by Sigmund N. Porter in 1982. You can employ a passphrase generator to create a random combination of words and numbers. Now, we will talk about the common areas or devices where Passphrases are applied. Some Wi-Fi wireless network security systems such as WPA and WPA2 apply passphrases in their personal shared key (PSK) mode. The security of both systems relies on the strength of the passphrase you generate. Phil Zimmermann’s well-known encryption application PGP requires you to create a passphrase that you input to sign or decrypt messages. The open-source version, GnuPG also does the same. Some popular password manager softwares need a master password or passphrase to safeguard the data they store. Many disk encryption programs such as PGPdisk and Apple’s FileVault use Passphrases. Many organizations demand disk encryption on laptops to meet regulatory requirements for securing sensitive data. The latest versions of a few popular operating systems, such as Windows 10, MacOS and iOS, let you apply longer passphrases for log-on authentication. Digital currencies, like BitCoin, use passphrases to shield the coins from embezzlement. Using a short passphrase as an answer to a required “security question” (like “What is your nickname?”) protects you against attempts to discover your answer by researching your online data. Some Wi-Fi home networking appliances have preinstalled software that generates static encryption keys to prevent unwanted access. A WPA2 or WPA passphrase is an encrypted password used for wireless networks and is typical for routers and wireless printers. An administrator inputs a passphrase into the setup screens of wireless routers and network adapters. After that, the setup software automatically encrypts that passphrase into an appropriate key. This technique makes wireless network setup and management more intelligible. 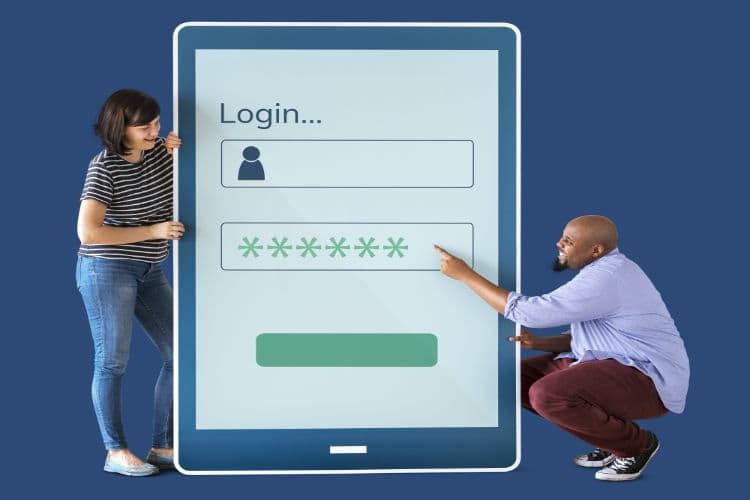 Because passphrases are more accessible to remember, administrators and network users are less likely to input incorrect login details on any device. However, all Wi-Fi equipment does not support this method of passphrase generation. The WEP key or WPA/WPA2 passphrase is not the same as the password for the access point. The password lets you access the access point settings. The WEP key or WPA/WPA2 passphrase allows printers and computers to join your wireless network. How is a Passphrase different from a Password? The discussion between passwords versus passphrase has become a trendy topic nowadays. Seeing all the password hacking and identity theft incidents recently, a lot of online users have now become aware of the impending insecurity that is lurking across the web. Therefore, some IT experts recommend using passphrases instead of passwords. But numerous people still cannot the grasp the difference between a password and a passphrase. Just like a password, a passphrase is a secret phrase that helps protect accounts, files, folders, and other confidential information. It is also known as a security key. Your password typically includes about six to ten characters or symbols, or a combination of both. It is requisite for controlling access to non-sensitive information. A passphrase is comparatively more extended than a password and also comprises spaces in between words. It can also include symbols and does not have to be a proper sentence or grammatically correct. It typically comprises about 10 to 20 random words or characters, which is appropriately secure for home networking. Why is Passphrase better than Passwords? How many times in a day do you enter passwords in different places? Probably, countless! You need passwords everyday and everywhere. From accessing your email or net banking to purchasing goods or accessing your smartphone, a password is omnipresent. 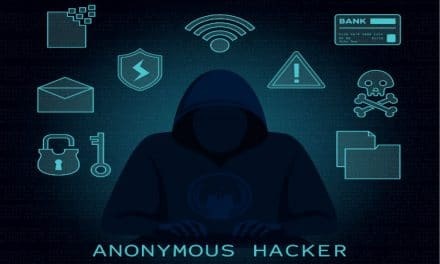 However, the biggest challenge today concerning security is that cyber attackers are going on developing effective methods to brute force passwords. It means spammers can compromise your passwords if they are weak or easy to guess. That’s why the use of passphrases is on trend nowadays. The more characters your passphrase has, the stronger it is. Let’s find out the reasons more in detail. Passphrases are uncomplicated to remember than a random of symbols and letters combined. Passwords are relatively effortless to guess or crack by both human and robots. The cybercriminals are also leveling-up and developing state of the art hacking tools that can break even the most complicated password. It meets complex rules easily. The utilization of punctuation, upper and lower cases in Passphrases also fulfill the complexity requirements for passwords. Major OS and applications support passphrase. All dominant OS including Windows, Linux, and Mac lets you create pass-phrases of up to 127 characters. Thus, you can choose a longer passphrase for excellent protection. Passphrases are somehow impossible to crack because most of the highly-efficient password cracking tools breaks down at around ten characters. Therefore, even the most advanced cracking tool won’t be able to guess brute-force or pre-compute these passphrases. Why should you choose a strong Passphrase? If you use a weak passphrase, then it can become the lowest part of your encryption systems. It is easier for an attacker to crack the passphrase than to use any real cryptanalysis to obtain access to your encrypted data. That’s why it is imperative to choose a good passphrase. The first thing an attacker will do is to try and presume a password or attempt all words in the dictionary to see if they can get in. That’s the reason why several systems do not permit the use of dictionary words as passphrases. Even replacing “@” for “a” or “e” for “3” is not enough. The objective of applying passphrases is to produce credentials that are entirely nonsensical to a password cracking application. The difficulty though is that many people use common phrases from books, favorite movies, memorable quotes, or other proper nouns that are easily guessable. A praiseworthy approach is to use a long string of words that don’t make up understandable phrases. In simple words, the phrase should make no sense at all. Software generated passphrases are more secure than those made by humans. They use sophisticated algorithms to defeat the logic used in typical hacks. The resulting passphrases are incredibly nonsensical conjunctions that even the most advanced software will require a right amount of time to crack. Several online tools are at disposal for helping you to create secure passphrases automatically. SSH Passphrase Generator, Dice ware, etc. are a few to try. If you are going to utilize these tools, try to select the options to produce the best passphrase possible effectively. The probability of presuming a passphrase composed of these randomly chosen words gets exponentially smaller with each word you add. By applying this fact, you will be able to make passphrases that anybody can never guess. A good passphrase must be at least 15, preferably 20 characters long and puzzling to guess. It must include upper case letters, lower case letters, digits, and ideally at least one punctuation character. It should not be from favorite movies, songs or famous quotes. For better security, a user can apply any easily memorable encoding. Must be unique, i.e., not reused between sites, applications, and other different sources. No portion of it should be derivable from your personal information. Just remember to avoid writing down your passphrases or store them in any plain text file. If you do, it’s asking for trouble. Your passphrases should only exist in your mind, or just in encrypted form. An advisable solution is to keep all your passphrases in a single file that has a unique active master passphrase. To summarize, passwords and passphrases essentially serve the same purpose, providing access to secure services or sensitive information. Passwords are short, hard to remember and more comfortable to crack. On the other hand, Passphrases are trouble-free to memorize and type. They are more secure due to their lengthiness. Application of a passphrase instead of a password will surely lessen the risk of identity theft. However, it can be less reliable when you use common phrases in the passphrase which could be easy for hackers to crack..
As long as a system does not limit the length of your password, you can use a passphrase instead of a password. NextInternet vs Web (WWW) – Do You Know the Difference?